So, this weekend me and my boyfriend felt like playing through Battletoads for NES. Because, that is what you casually feel like on a Friday night, right? Well, we sure got to work for it. It is surely an addictive game. The game has some nice variation in what you’re supposed to be doing. You’re almost never doing the same thing which is unique especially for a NES game. The level designs are amazing, it rewards skill without being unfair. It is damn hard, but despite it you always want to play more. Though some parts are unbelievably hard, like the rat race for example. (We did really just get to that part in the game, stupid rats.) Truth be told, that part is way harder than the famous “Turbo Tunnel” in my opinion. Some levels that really stood out to me were the “Snake pit”, It had a really creative level design and was really fun to play through. Also, the game has some really great graphics, with quirky details and badass toads. On top of that, the awesome music is making me bob my head a lot. It sticks in your head for quite a while. All in all, we were unable to beat the game thanks to the previously mentioned rat. That was a shame, but to be honest, I’m quite happy that we even got to that point. It was almost at the end anyhow, and to be able to beat it we’d have to practice a lot. As I said, a really great game, but surely not for the feint of heart. I absolutely recommend it if you want a good and challenging NES game to try out. 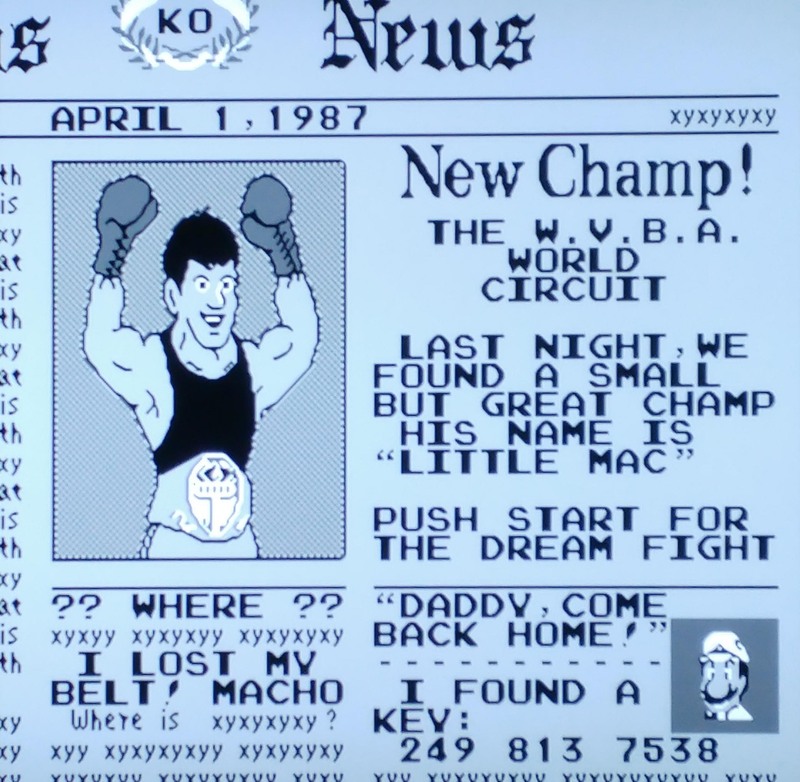 So, this weekend me and my boyfriend played Punch-out!! We thought we would see if we could be able to beat Mike Tyson. However, what we didn’t realized before we went up against the last opponent, was that the version we played didn’t have Tyson to begin with. 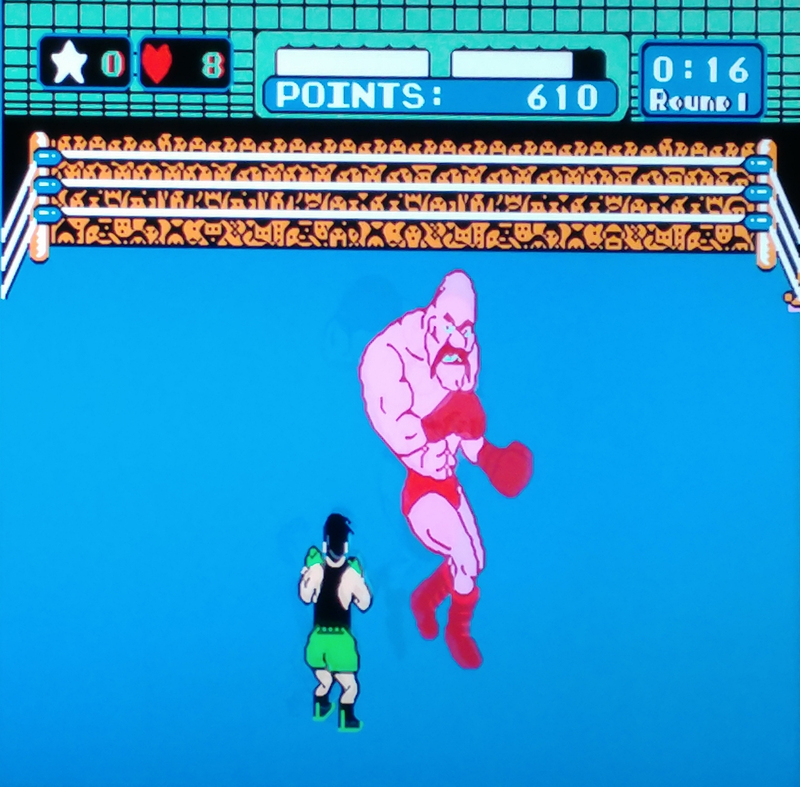 We faced Mr. Dream, the sprite that they had edited in there instead of Tyson when the license to use him expired (and they didn’t wanna renew). The game is rather cool, with a nice difficulty (when you figure it out) and fun sprites. It really takes a little while to get the hang on how to beat each opponent, they all have their own little hints and kinks to take down. It’s just a matter of knock down or be knocked down. A few of the opponents gave us quite a challenge. 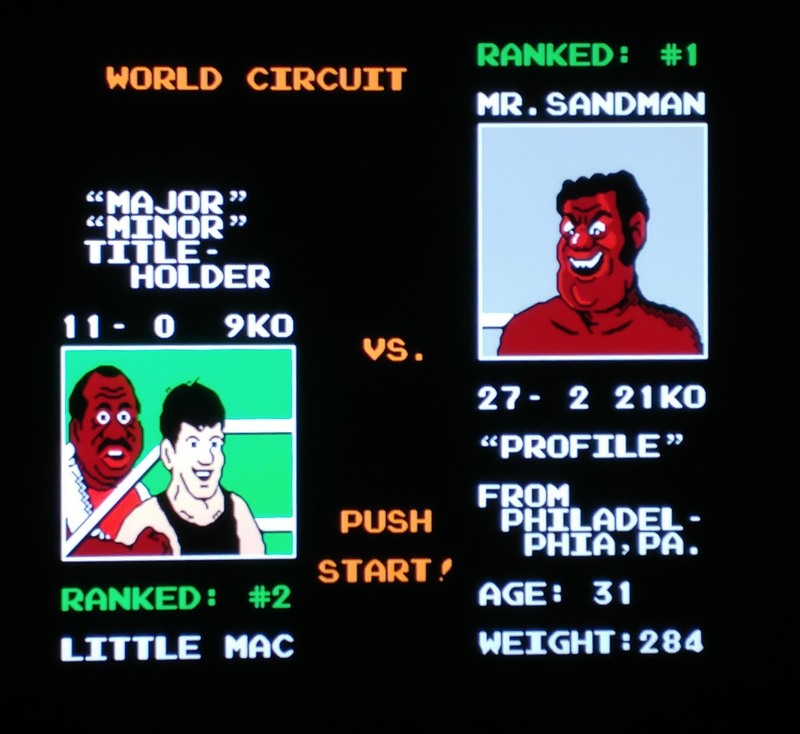 Mr. Sandman and Bald Bull #2 must have been the hardest, though Mr. Sandman is the harder of the two. I should count Mike Tyson/Mr. Dream into this as well as we barely landed any hits, let alone took him down. We didn’t try for to long, but damn he was hard. Overall it is a game worth playing and a perfect weekend challenge. If you haven’t tried it already, you really should. So, been doing a retro game thing for a little while now every weekend, but recently I figured that I would blog about it as well seeing as there is quite a few games worth mentioning. I started my gaming onslaught rather late in life so I missed quite a few pearls that I’ve had the pleasure of playing later. My boyfriend have grown up with them all and given me tips on what to play, and he thought DuckTales is a game I really should try so why not start the posts with that? I really enjoyed playing this through. The music is badass and the graphics are really cute. It isn’t to long, perfect for a lazy evening. However a few sections were rather annoying, and the Moon stage is the worst of them, I must say. This is one of the only platform games that I’ve seen that let you explore the levels as you see fit. Without neither a map or any directions, you are on your own. The levels are actually kinda large and it’s easy to get lost, or to find the right way instantly. Also, being the hoarder that I am, I collected as many crystals and stuff as I could when I saw them while trying to survive. Easier said than done on a few places. All in all, it is well worth a playthrough for anyone. I suppose I should also mention there is a remake of this game, a way poorer one I’d say. With “updated” graphics and way easier gameplay.